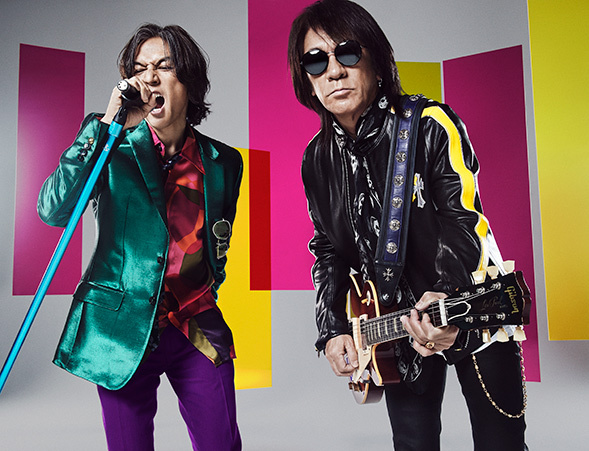 B'z is a Japanese hard rock duo, made up of guitarist Tak Matsumoto and vocalist Koshi Inaba. They have been playing from 1988 to the present day. B'z has released 49 consecutive #1 singles, 26 #1 albums, and sold more than 80 million records in Japan alone. Under the recommendation of Steve Vai, B'z were the first artist from Asia to have their handprints and signatures put up in the Hollywood's RockWalk. Their songs have been featured in numerous TV shows, anime, video games, and covered by many artists.